Do you have a structured way to calculate how much you should sell for your handmade jewelries? 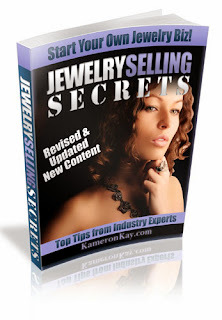 When I first started out, I did not have a consistent approach for pricing my jewelries. Most of the pricing I came up with were based on my ‘gut-feeling’. I simply marked up from the cost of materials used for the creations and priced it accordingly. After awhile, I found that I have under estimated my cost and I have been running my business at a loss!. I have practically omitted some of the essential costs into my pricing! Pricing your work is probably one of the most difficult decisions to make in running your business. Price your work too high and you limit sales, possibly pricing yourself right out of business. Price your work to low and you’ll give your labor away, as well as your profit. Just like me, most beginning artists and jewelry designers will price their work too low, hoping that they can sell off their creations easier and faster. Well, that is not a wrong approach if you intend to build up reputation at selling marketplaces such as Etsy, Arffre, eBay etc. Also, there will be an inevitable learning curve for new artists, where they will take time in perfecting their techniques. Due to this learning curve, even if the design is the same, the quality of early pieces will be dramatically different from those of later pieces. We’re all constantly improving and perfecting our techniques. Just think of yourself as a jewelry making apprentice. As your skill improves so should your hourly rate. This allows for small price increases over time that can easily be explained as inflationary; however, if you start out giving your work away you will not only give the illusion that your work isn’t worthy of a decent price but any customer base you build will suddenly turn up their noses when you see the light and raise your prices to fit what they are truly worth. Does that mean you should start charging premium prices right out of the gate? Cost of Goods Sold (COGS) are technically direct expenses incurred in producing your jewelry or other craft creations. 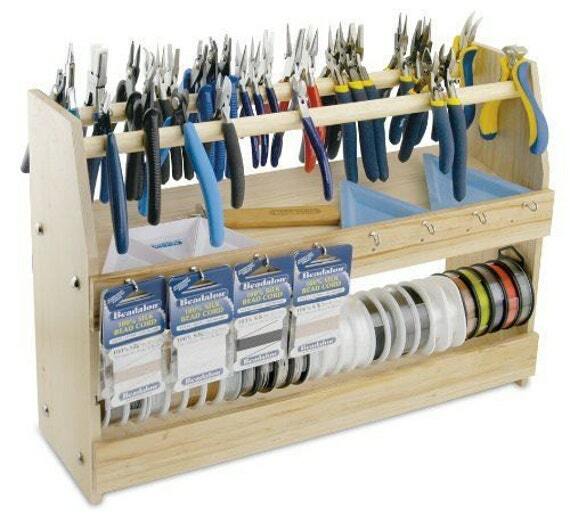 The main component for this usually comes from raw materials or supplies used to make your creations. Example of raw materials include beads, findings, ribbon, paper etc. There are also other expenses such as packaging cost such as stamps, label, envelope, courier charges to deliver your package to your customers. For example, if you make a necklace and you spend $5 on supplies and $2 for delivery charges, your cost of goods would be $7. Of course, to be competitive with others, your cost of goods should be as low as possible. So it’s important to purchase your supplies at the lowest possible price – at wholesale or at bulk discounts as much as possible. Naturally, if you purchased your supplies at higher price than others, your final pricing will need to go higher as well. This might put off some customers for you. Operational Cost are all cost incurred just to maintain existence. Operational cost would include, rent on office space, electricity , insurance, tools, advertising, and wages of persons not directly attributed to production of the product. Once you have your annual operational cost you can distribute this cost to an individual product. There are a few ways where you can distribute your operational cost. The easiest way is you can estimate number of creation you can make in a year and use total operational cost to divide with total number of products you can create. For example, say your operational cost for the year is $6000 and the total number of creation you expect to produce is 1200. $6000/600 = $5 is your overhead per item made. So you would add $5 to the cost of your earrings as overhead. If you have employees, labor costs have to be factored in as well. I find this easier to do than raw materials, as you’ll probably pay most craft help by the piece rather than by the hour. So, if you pay a crafter $10 to make one piece of necklace, that amount is also added to the necklace’s cost. Don’t forget your own labor. Just because you’re the owner doesn’t mean that your labor is any less a COGS than the crafters you hire to help. Many craft business owners either have the tendency to undervalue the worth of their own time or haven’t adequately figured out how much time it takes them to get their craft item to market. Don’t fall into this trap – your time is important! Make sure you figure it into the final cost of your product. Estimate how long it takes to make one item. Decide how much money you wish to earn per hour of creating crafts. Multiply total hours with your hourly cost to get the final time cost. For example, if you wish to earn $15 per hour and you use 2 hours to make an item, your total labor cost for this item is $30. The total cost is $20 which is your break even point. What is a break even point? Just what it sounds like, this is the point where you’ve made neither a loss nor a gain. If you sell your earrings for $15 you’ve sold it at a loss. If you are selling at $20, you’ve broken even. Of course no one wants to just break even but if you don’t know what that point is you’ll never know if you are losing money or making a profit. This is where you would decide what you want to be able to make off a piece. A lot of factors go into this decision including your customer base, quality of materials, market venue, and your competition. This is where a little trial and error is necessary. First, determine who your customer is. You probably should have done this before you even started thinking about selling your first piece of jewelry but if you haven’t done so already do it now. Sit down with a piece of paper and write down some descriptive characteristics about your target customer. A standard markup is cost x 2. However, jewelry is usually priced higher than most goods so cost times 3, 4, 5, 6 even 10 is not unreasonable. So you can decide this mark up rate based on the factors mentioned above for your business. Generally, you can price your items higher if you are selling directly to your customers. We call this price as retail price. Usually, most jewelry makers would apply a retail mark-up of 400% (4x) from your total cost. If you sell your pieces at wholesale or on consignment to a shop, you would generally sell it at a lower mark up rate. Wholesale and consignment prices are typically 50% to 60% of your retail price. The shop owner who buys it from you at wholesale would then turn around and retail-price and sell it to a customer who comes into the shop. Your wholesale price gives you a much smaller profit margin on your creation. So wholesale pricing usually requires the shop owner to purchase a minimum quantity of 6, 10, 12 items at a time. When you make and sell multiples of an item, your manufacturing and selling costs are lower, and you make up for the smaller per-item profit by selling more items at a time. It is that easy! You can purchase our Jewelry Pricing and Materials Inventory spreadsheets! Besides pricing, you can use this software for material inventory and product creation management. Keeping track of type of materials used and purchased for your business. Keeping track of available quantity for raw materials. Creating your product listing in a central database. You and your team can work on the file together at the same time across teams, companies and locations. You can share the spreadsheet with others and assign appropriate roles to allow them to edit or view the file. Your data is always backed up, and you don’t have to worry about losing it if something happens to your computer. The Excel/Desktop Application does not allow cloud hosting; however, the loading time for the desktop based application is much faster than Google Spreadsheet. We now have the Desktop Excel version and the Cloud Hosted using Google Spreadsheet version. I love the name !.. Im very interested in Jewelry making., and i have done some classes.. but i always want to know more about it ? 🙂 .. Please can you send me details etc, about the jewelry making..thank you..
Hello Sharon, sorry for the late reply. It is only now we saw your comment. Please visit http://www.diybeadingclub.com/amember/aff/go/isabel to learn more about jewelry making. Cheers! on my end or if it’s the blog. Any responses would bbe greatly appreciated. The images are fine for me on my smartphone. Good luck. Is this a ONE TIME FEE or a RECURRING MONTHLY FEE for the program? And how is it working for everyone? Hi Lori. You only need to pay one-time for the pricing calculator. I sell at prices that I get get at the moment. I make wire jewelry and buy most of my supplies on discount or at scrap prices. One ring or a pair of earrings will put me at break even or better for materials that can provide dozens of items. The same item might sell for $5 in one location or $20 at a show. Sometimes it’s more important to sell cheap to friends and get your products and name on display.